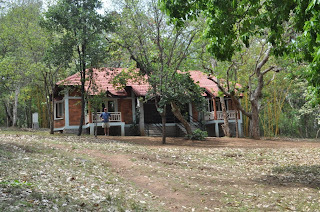 Kabini River Lodge had a great feel to it right away - wilderness, trees, a clean river! They have a network of nets strung up in the trees and a treehouse for the kids to play in. Alanna and Craig were excited right away when they saw this and off they went to climb and explore. As an added bonus some friends from school were there so the kids got to hang out and play. The park is treed, and the roads windy and bumpy. With the rains lately one section that dipped down had washed out - the vehicle ahead of us got stuck but eventually made it out and up the hill on the other side. Our driver decided to go off the road and bypass the section but it meant going over a bit of a ledge to get to the other side. I opted to get out and walk rather than take the chance of rolling and everyone else agreed. With about half an hour to go it started to rain...and then it started to pour...and then it was definitely a monsoon rain. The plastic sides came down and there was no view at all, the driver could barely see in front of him. Made it back but then got drenched running from the "jeep" to the cottage. Waited out the rains and then Michael and I made our way up to "John Wakefield's Bar," for G&T's; such a civilized way to end a day out on the hunt. Nice article and some beautiful pics too.. 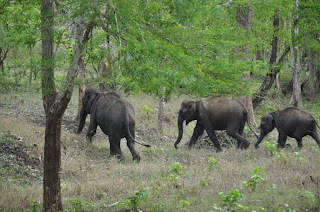 The biggest attraction in Kabini is the ‘Elephant Safari’. Sitting on these majestic animals gives you a thrill that you have to experience at least once in your lifetime. 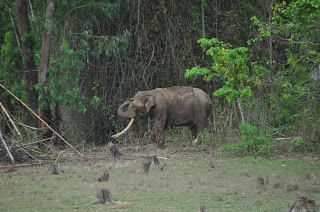 There was a time when only royalty used to travel on elephant back! 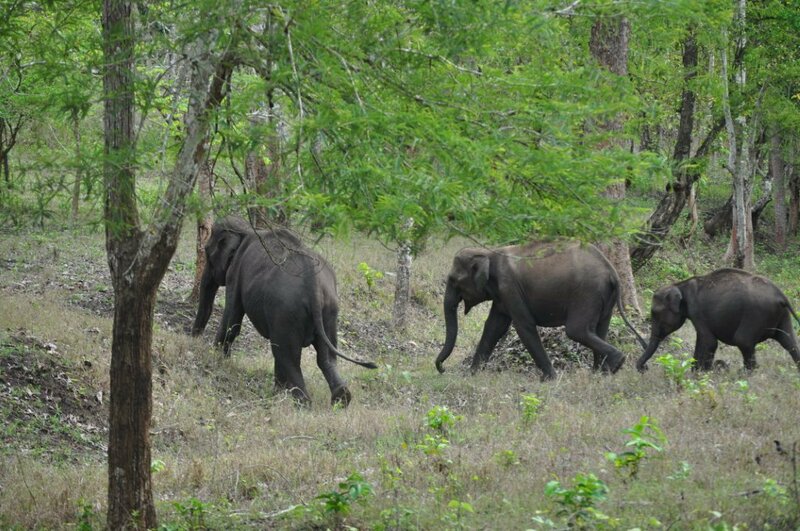 The Elephant Safari offered in Sunkadakattee is very comfortable as the animals are tame, pretty steady on their feet even on difficult terrain and move at an even pace through the jungle. They even place a cushion on top of the elephant for you to sit on. 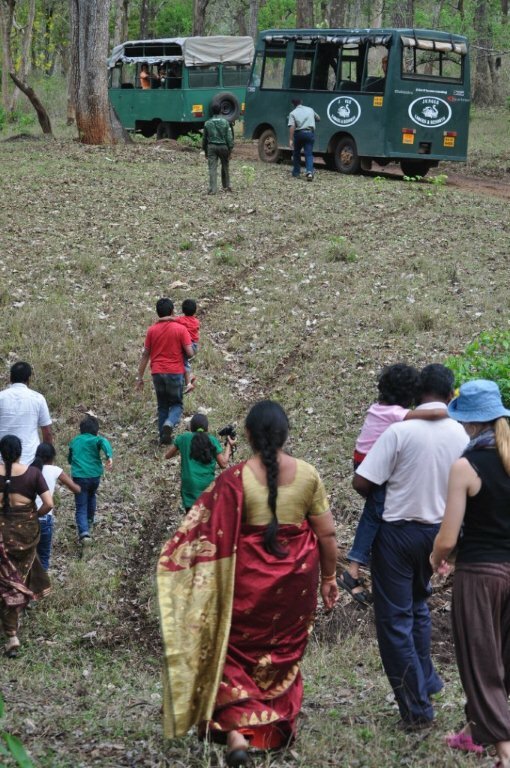 So go ahead and experience the ride of your life at Kabini. If you are one of those people who would love to take a walk in the jungle, the best person to contact would be your tour operator. 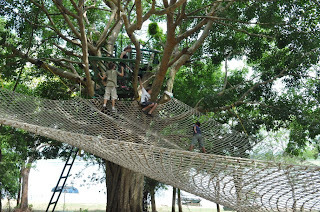 They would be able to arrange your ‘Nature Walk’ while giving you the necessary precautions and guidelines to maintain. Others can opt for the ‘Jeep Safari’ which in itself is a unique experience. 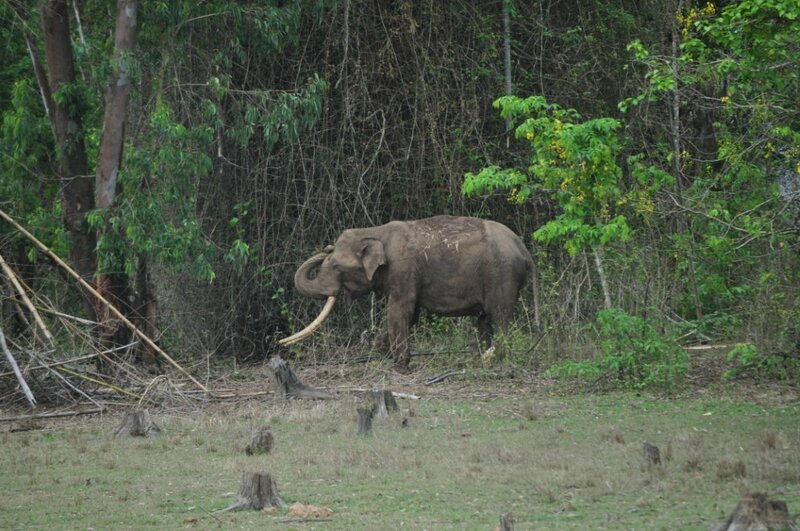 Another activity to keep you occupied in Kabini is the river cruise. The view from the boat of the vegetation and wildlife habitats is spectacular. If you are lucky, you may also get to see a few crocodiles, leopards, gaurs, tigers and cobras relaxing undisturbed in their surroundings. So keep your camera handy! Bird lovers need not go back disappointed. There is plenty for you to see, hear and photograph. Varieties of birds fly about in colorful array chirping and singing through the day. Kabini is really a paradise for ornithologists!